A new association has been set up in Glenfarg to promote energy saving and renewable energy projects in the village and surrounding area. This association is a response to the priorities expressed in the Glenfarg Conversation survey. The Lochelbank Windfarm fund is providing valuable support to many Glenfarg organisations. Elsewhere a number of smaller windpower generators have been installed. Many residents have installed photovoltaic panels on their roofs, and there is a programme to install solar thermal panels too. Other residents have switched to heat pumps or wood fuel for their heating needs. 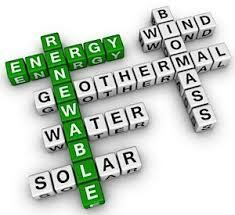 Many of these sources of “green energy” are supported by finance from the government. Glenfarg Renewable Energy Association will look into these and other opportunities which might generate power locally; either to reduce energy bills directly, or indirectly through selling power through the National Grid. It is intended that the association provide a local point of contact where you can find out more about the government’s green energy programmes.